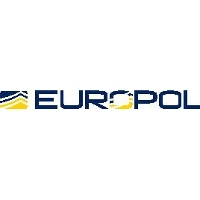 On 23 and 24 April in The Hague, Europol hosted the 2nd EU Metal Theft Conference. More than 80 law enforcement officers and representatives from the European Commission and key sectors such as telecoms, railway, energy and recycling from across the EU, met in the framework of the four-year European project on organised property crime. The aim of the conference was to share knowledge and experience and strengthen a network of practitioners belonging to law enforcement and the private sector, while looking for ways to improve the overall fight against metal theft. In addition, conferences like this raise awareness, provide expertise and best practice, and allow the exchange of ideas between all parties involved. Rates of some traditional crimes are falling in many countries, but most serious forms of criminal activity, often involving organised crime groups, are growing in scale and impact. Security problems have become much more transnational and the recent phenomenon of metal theft, as an emerging problem across the EU, is a good example of this. Metal theft is not a victimless crime. On the contrary, it can have a devastating impact on businesses, communities and individuals. This includes loss of key services such as telecommunications and power, disruption of rail networks and the desecration of religious buildings and memorials. In most cases, the overall damage caused by metal theft far exceeds the value of the stolen metal itself. Intelligence shows that the stolen metal is often transported across several borders and sold as scrap, or for recycling, far away from the scene of the crime. Europol is very pleased with the growing levels of European collaboration in this field between police and the private sector. In response to the emergence of this threat, in April 2013 Europol already organised the first conference on metal theft, followed by a law enforcement European action day against metal theft and scrap metal dealers, that saw the participation of 18 countries.